Going shopping is usually a bittersweet experience. You typically end up overspending, which is unfortunate, but that overspending goes toward items that you without a doubt needed. Or did you? This morning, Eva Chen gave us a quick reality check by way of a very informative Instagram post wherein she reveals the one thing she will never do while shopping. Shopping addicts of the world, listen up! While browsing at Neiman Marcus, Chen discovered a pair of Chanel flats that were non-negotiable, but while she was at it, she told us what would be negotiable on any other shopping excursion. “One of my shopping rules is to NEVER try on anything I wouldn’t/shouldn’t buy (whether because it’s too [expensive] or no occasion to wear it, etc).” The concept is simple enough, but how many times have you told yourself that you’re “just going to try it on” only to find yourself unable to take said item off in the end? Take it from Chen and don’t even tempt yourself. You are stronger than you think (but we won’t judge you for those impromptu splurges, either). Scroll down to read more about Eva Chen’s shopping strategies and to shop fun pieces that are definitely worth investing in, according to her rule! ???????????? : one of my shopping rules is to NEVER try on anything I wouldn't/shouldn't buy (whether because it's too ??????????? ?or no occasion to wear it, etc). I usually do 99.4% of my shopping online these days (@netaporter while watching Bachelor in Paradise, what is more luxurious than that, I ask you?) but yesterday I went on a shoe binge @neimanmarcus and found these Chanel flats and it was love at first sight but I broke my rule and tried them on despite not even having them in my size and now I'm in a hunt to find the black and grey ones in 38.5! UPDATED: you guys are better than Sherlock Holmes (as played by Benedict Cumberbatch, best iteration ever clearly)!! Found them, thank you ???????????????????????????????????????? 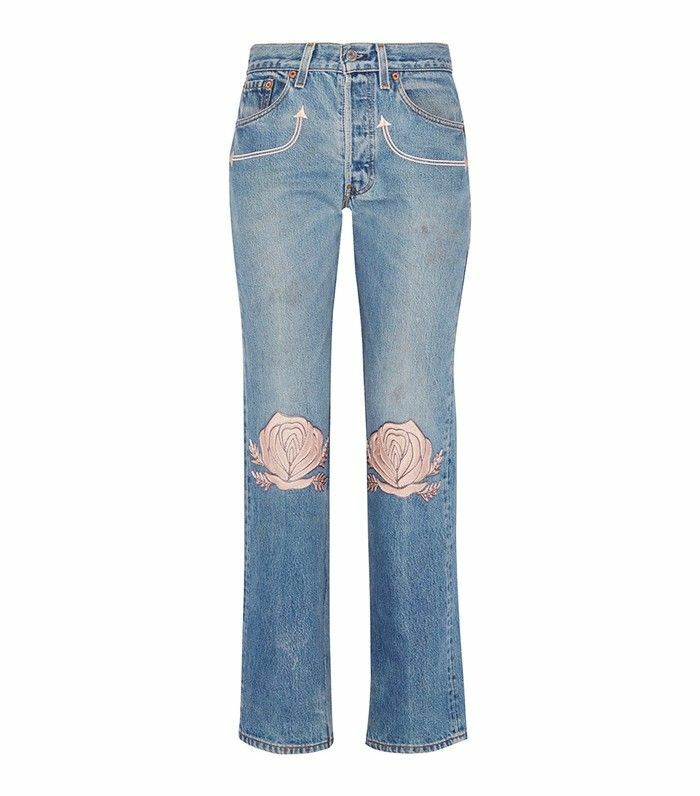 The embroidery on these jeans is just enough to allow you to wear them on multiple occasions. If you’re going to wear Mary Janes, at least make them exciting. This sweater will carry you through fall and winter with little to no effort. Whether it’s with sneakers, ankle boots, or heels, this dress will be a statement maker guaranteed. What are some of your shopping rules? Let us know your secrets in the comments below!